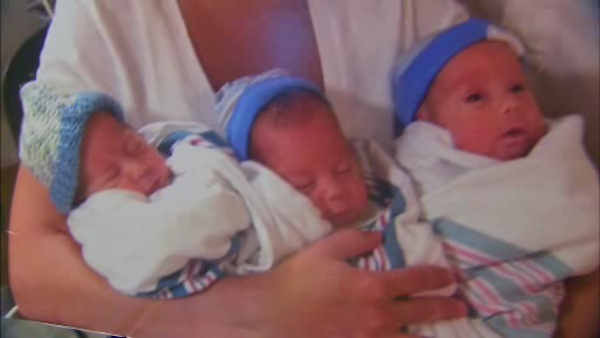 MINEOLA, N.Y. -- A trio of newborns on Long Island is beating the odds. That's because the three boys are identical triplets. Owen, Noah and Miles were born to Jason and Kelli Fenley on July 1 at Winthrop-University Hospital in Mineola.